Bergoglio, Jorge (1982) (スペイン語). Meditaciones para religiosos. Buenos Aires: Diego de Torres. OCLC 644781822. Bergoglio, Jorge (1992) (スペイン語). Reflexiones en esperanza. Buenos Aires: Ediciones Universidad del Salvador. OCLC 36380521. Bergoglio, Jorge (2003) (スペイン語). Educar: exigencia y pasión: desafíos para educadores cristianos. Buenos Aires: Editorial Claretiana. ISBN 9789505124572. Bergoglio, Jorge (2003) (スペイン語). Ponerse la patria al hombro: memoria y camino de esperanza. Buenos Aires: Editorial Claretiana. ISBN 9789505125111. Bergoglio, Jorge (2005) (スペイン語). La nación por construir: utopía, pensamiento y compromiso: VIII Jornada de Pastoral Social. Buenos Aires: Editorial Claretiana. ISBN 9789505125463. Bergoglio, Jorge (2006) (スペイン語). Corrupción y pecado: algunas reflexiones en torno al tema de la corrupción. Buenos Aires: Editorial Claretiana. ISBN 9789505125722. Bergoglio, Jorge (2007) (スペイン語). El verdadero poder es el servicio. Buenos Aires: Editorial Claretiana. OCLC 688511686. Bergoglio, Jorge (2009) (スペイン語). Seminario: las deudas sociales de nuestro tiempo: la deuda social según la doctrina de la iglesia. Buenos Aires: EPOCA-USAL. ISBN 9788493741235. Bergoglio, Jorge; Skorka, Abraham (2010) (スペイン語). Seminario Internacional: consenso para el desarrollo: reflexiones sobre solidaridad y desarrollo. Buenos Aires: EPOCA. ISBN 9789875073524. Bergoglio, Jorge; Skorka, Abraham (2010) (スペイン語). Sobre el cielo y la tierra. Argentina: Sudamericana. ISBN 9789500732932. Bergoglio, Jorge (2011) (スペイン語). Nosotros como ciudadanos, nosotros como pueblo: hacia un bicentenario en justicia y solidaridad. Buenos Aires: Editorial Claretiana. ISBN 9789505127443. Bergoglio, Jorge; Skorka, Abraham (2013-04-14) (英語). On Heaven and Earth: Pope Francis on Faith, Family, and the Church in the Twenty-First Century. Image. ISBN 9780770435066. 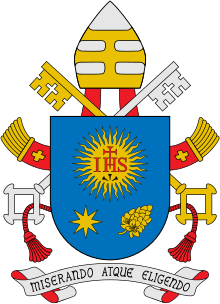 Cardinal Jorge Mario Bergoglio (2008-06-18) (英語). THE EUCHARIST, GIFT OF GOD FOR THE LIFE OF THE WORLD. http://www.vatican.va/roman_curia/pont_committees/eucharist-congr/documents/rc_committ_euchar_doc_20080618_mistero-alleanza_en.html. Cardinal Jorge Mario Bergoglio (2010-2011) (スペイン語). AICA Documentos. http://www.aicaold.com.ar/index2.php?pag=docbergoglio. ^ a b Escobar 2013. 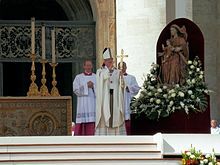 ^ Pope John Paul II, “Mary, the new Eve, freely obeyed God”, L'Osservatore Romano, Weekly Edition in English, 25 September 1996, p. 19. ^ cf. The en:titular see of Auca, established in 1969, is seated at en:Villafranca Montes de Oca, Spain: Titular See of Auca, Spain. ^ “Article based on diary says German cardinal became pope with 84 votes”. Catholic News Service. (2005年9月23日). オリジナルの2005年9月28日時点によるアーカイブ。. https://web.archive.org/web/20050928201437/http://www.catholicnews.com/data/stories/cns/0505401.htm 2017年7月21日閲覧。 Article gives numbers for the four votes; Ratzinger had most votes, followed by Bergoglio. ^ Cindy Wooden (2013-12-04). “Pope, cardinal council begin work on reorganizing Roman Curia”. Catholic News Service. オリジナルの2013年12月17日時点によるアーカイブ。. https://web.archive.org/web/20131217232234/http://www.catholicnews.com/data/stories/cns/1305064.htm 2017年7月21日閲覧。. ^ a b c What I would have said at the Consistory: An interview with Cardinal Jorge Mario Bergoglio, Archbishop of Buenos Aires. 30 Days. (11 2007). http://www.30giorni.it/articoli_id_16457_l3.htm. ^ a b c Sergio Rubín, Francesca Ambrogetti. El Jesuita. Conversaciones con el cardenal Jorge Bergoglio, SJ. Archived 2013年3月18日, at the Wayback Machine., Vergara editor, pp. 45-47. ^ a b Conferencia General del Episcopado Latinoamericano y del Caribe 2007. ^ Stefan, Melissa (2013-03-14). “Luis Palau: Why it matters that Pope Francis drinks mate with Evangelicals”. Christianity Today. 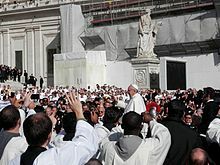 http://www.christianitytoday.com/ct/2013/march-web-only/luis-palau-pope-francis-drinks-mate-evangelicals-bergoglio.html?paging=off 2013年3月15日閲覧。. ^ Moon, Ruth (2013-03-14). “Why Pope Francis excites (most) Evangelical leaders”. Christianity Today. 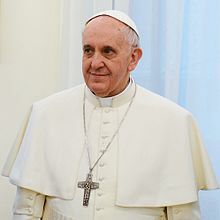 http://www.christianitytoday.com/ct/2013/march-web-only/why-pope-francis-excites-most-evangelical-leaders-bergoglio.html 2013年3月15日閲覧。. ^ a b Bergoglio & Skorka 2010. ^ “Pope Francis greets Cardinals: Full text”. Vatican Today. (2013-03-15). http://www.news.va/en/news/pope-francis-greets-cardinal-full-text. ^ “La missione delle donne”, L’Osservatore Romano, 4 aprile 2013. ^ a b “ローマ法王、同性愛者を「裁く立場にない」”. CNN.co.jp. (2013-07-30). http://www.cnn.co.jp/world/35035297.html 2013年8月18日閲覧。. ^ La Vie, No. 3524, 2013年3月14-20日, p. 31. ^ La Vie, no. 3524, du 14 au 20 mars 2013, p. 31. ^ a b Gianni Valente (2012-05-09). “That neo-clericalism which “hijacks” the sacraments” (English). Vatican Insider. http://vaticaninsider.lastampa.it/en/inquiries-and-interviews/detail/articolo/sacramenti-sacramentos-the-sacraments-17899 2013年3月20日閲覧。. ^ Bergoglio, Jorge Mario (2009-09-30) (Spanish). Seminario : las deudas sociales de nuestro tiempo : la deuda social según la doctrina de la iglesia [Seminar : social debts of our time : the social debt according to the doctrine of the church] (presented seminar). Posgrado internacional del bicentenario. Políticas públicas, soluciones para la crisis de nuestro tiempo.. Buenos Aires: EPOCA-USAL. OCLC 665073169. ^ 日本カトリック司教協議会教理委員会 訳・監修 『カトリック教会のカテキズム』、カトリック中央協議会、2002年、p. 404. ^ Padgett, Tim (2010-07-18). “The Vatican and Women: Casting the First Stone”. TIME. http://www.time.com/time/nation/article/0,8599,2004702,00.html 2013年3月13日閲覧。. ^ “Pope Francis Brings Lessons Of Argentina's Marriage Fight To Rome”. BuzzFeed. (2013-03-13). http://www.buzzfeed.com/lesterfeder/pope-francis-brings-lessons-of-argentinas-marriage-fight-to 2013年3月18日閲覧。. ^ “Pope Francis: Who am I to judge gay people?”. BBC News. (2013-07-29). http://www.bbc.co.uk/news/world-europe-23489702 2013年8月18日閲覧。. ^ “Ergänzende Erklärung von Pater Franz Jalics SJ”. 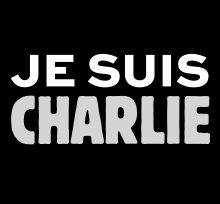 jesuiten.org. (2013-03-20). 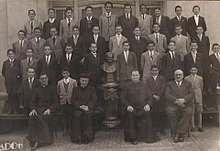 http://www.jesuiten.org/aktuelles/details/article/erganzende-erklarung-von-pater-franz-jalics-sj.html 2013年3月24日閲覧。. ^ Jorge Luis Borges, José H. Cibils. Cuentos originales Santa Fe, Argentina, Colegio de la Inmaculada Concepción, Departamento de Letras, 1965. ^ La Crucifixion Blanche par Marc Chagall, 1938. Buzzi, Elisa (2003) (英語). A Generative Thought: An Introduction to the Works of Luigi Giussani. Montreal: McGill-Queen's University Press. ISBN 9780773526129. Horacio Verbitsky (2005) (スペイン語). El silencio : De Paulo VI a Bergoglio. Las relaciones secretas de la Iglesia con la ESMA. Buenos Aires: Sudamericana. ISBN 9789500720359. Horacio Verbitsky (2009) (スペイン語). Vigilia de armas : Del cordobazo de 1969 al 23 de marzo de 1976. Historia política de la iglesia católica, t. III. Buenos Aires: Sudamericana. ISBN 9789500730495. John L. Allen Jr. (2009) (英語). The Future Church: How Ten Trends Are Revolutionizing the Catholic Church. Image. ISBN 9780385520393. Sergio Rubin et Francesca Ambrogetti (2010) (スペイン語). El jesuita : Conversaciones con el cardenal Jorge Bergoglio. Buenos Aires: Vergara. ISBN 9789501524505. Anura Guruge (2012) (英語). The Next Pope. Wownh LLC. ISBN 9780615353722. Michel Cool (2013) (フランス語). François, Pape du Nouveau Monde. Paris: Salvator. ISBN 9782369180029. Andrea Tornielli (2013) (フランス語). François. Le pape des pauvres. Paris: Bayard. ISBN 9782227486614. Mario Galgano (2013) (ドイツ語). Franziskus - Der Papst vom anderen Ende der Welt. Ein Portrait. Augsburg: Sankt-Ulrich-Verlag. ISBN 9783867442459. Matthew Bunson (2013-04-05) (英語). Pope Francis. Our Sunday Visitor. ISBN 9781612787138. The Editors of LIFE (2013-04-16) (英語). LIFE POPE FRANCIS：The Vicar of Christ, from Saint Peter to Today. LIFE. ISBN 9781618930996. CONFERNCIA GENERAL DEL EPISCOPADO LATINOAMERICANO Y DEL CARIBE (2007-05-10) (スペイン語) (PDF). Discípulos y Misioneros de Jesucristo para que nuestros pueblos en Él tengan vida “Yo soy el Camino, la Verdad y la Vida” (Jn 16,4) DOCUMENTO CONCLUSIVO (2 ed.). Aparecida. http://virtual.upb.edu.co/pls/portal/docs/PAGE/GPV2_UPB_MEDELLIN/PGV2_M065_PLANEACION/PGV2_M065030_AUTOEVALUACION/PGV2_M065040_AUTOEVALUACION/PGV2_M065040001_MACROPROCESO1/PGV2_M065040001-1_MACROPROCESO1FACTOR1/PGV2_M065040001-1_MACROPROCESO1FACTOR1CARACT1/PGV2_M065040001-1_MACROPROCESO1FACTOR1CARAC1ASPECTO1/PGV2_M065040001-1_MACROPROCESO1FACTOR1CARAC1ASPECTO1IND2/7.%20DIALOGOS%20DE%20LA%20CATEDRAL%202007.PDF. Guilhem Dargnies et al. (du 23 au 29 mars 2013). “Le Pape qui venait de loin” (フランス語) (PDF). famille chrétienne 1836: 10-20. http://www.nd-chretiente.com/dotclear/public/documents/2013.03.21_FC_1836_Pape_Francois.pdf. Franciscus (papa) (2013-11) (イタリア語) (PDF). Evangelii Gaudium. http://vaticaninsider.lastampa.it/fileadmin/user_upload/File_Versione_originale/EVANGELII-GAUDIUM-italiano.pdf.